Maintaining your lawn in Colorado Springs can be a serious task. 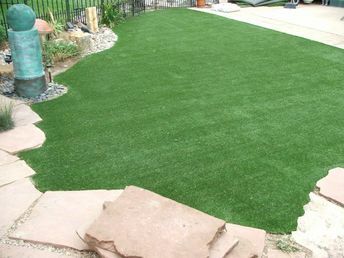 We here at Always Green will install your new artificial lawn that looks and feels like real grass, however it is more durable and safer for you and your family. By providing you with the highest quality fiber available today, your lawn will stay green all throughout the summer months and you wont even need to water! Save yourself time and money by not having to fight the elements here in Colorado. Keep your lawn looking lush green all year! Avid golfers will agree, artificial putting greens is a great way to stay on top of your game. Great fun the whole family can enjoy. Have a great conversation starter during your summer parties with a professional grade artificial grass made perfect for putting greens. We can help you to design a unique putting green to make the most of your commercial space or backyard that you can enjoy for years to come. We want to know more about your project, call or email us today for a free quote! When it comes to synthetic turf for restaurant patios, look no further. Our professional artificial grass installers pride ourselves in customer satisfaction. 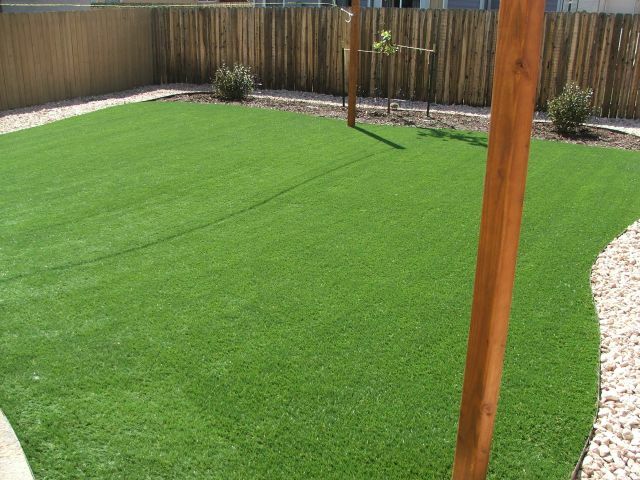 We only provide the highest quality in synthetic grass available in the world today. Quality matters when your business and reputation are on the line. 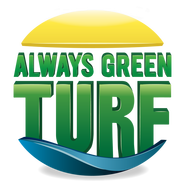 Customers will love the real looking and soft like real grass synthetic turf. In Colorado Springs, especially in the summer, people want the patio. They want to be outside and soaking up the beauty that Colorado has to offer. Call us today and see how we can help turn your restaurant or patio into an absolute delight and attract more business! Colorado Springs is one of the most pet friendly cities in America. When your dogs go out on a lightly snowy day, they will often come back into your home leaving muddy paw trails all over your house. Such an unnecessary mess to have to clean up all the time! Our family spend our days in this beautiful Colorado weather as much as we possibly can. Because of that, we often bring our furry family member along for the adventure! 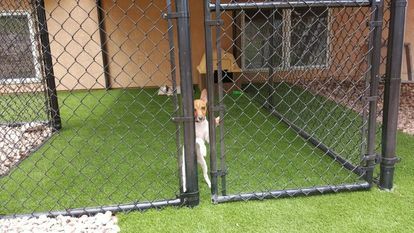 Our artificial grass for dog runs is made with the high quality product you would expect from ProGreen. Tired of cleaning up muddy floors after playing with your pets? 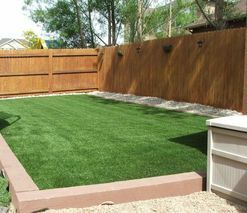 With artificial turf you don't have to! Save yourself time and money. Keep your home from looking and feeling great! 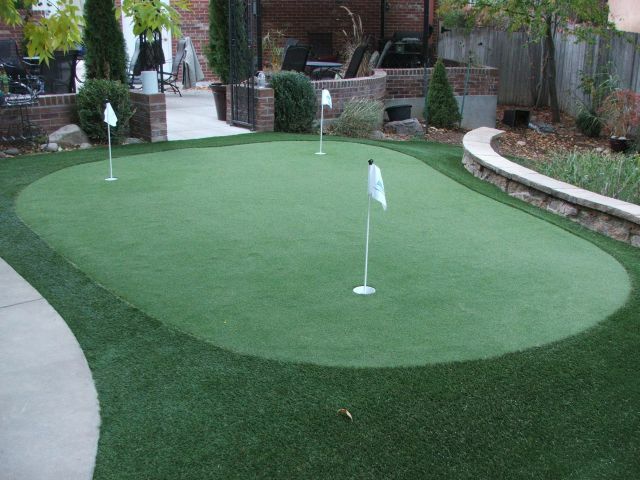 ​Your tee line with our synthetic grass makes for a great combination. Synthetic turf designed to allow for a true natural swing. Being comfortable and natural the grass provides a divot feel with no club bounce. PGA professionals, trop rated facilities, and tour players trust in our synthetic grass and so should you! Practice all year round with synthetic turf. Take back your golfing game, save your grass, save your money. Call us today! 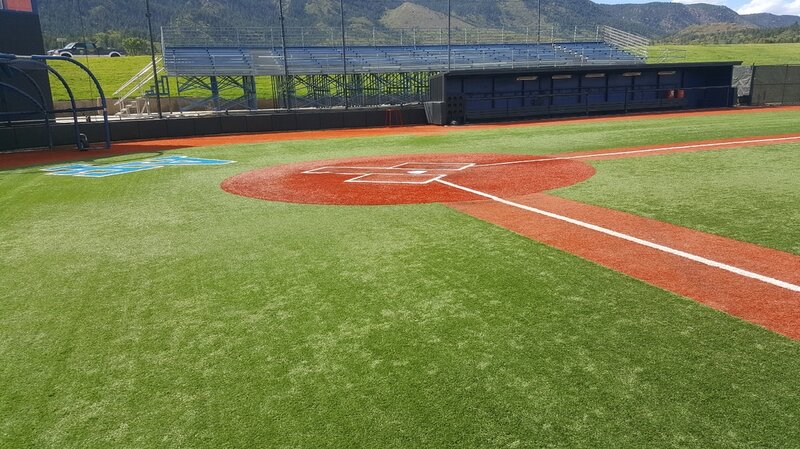 ​Turf Batting cages can be played on all day everyday that's why we think artificial turf is the best choice for all types of sport fields. Soccer fields, batting cages, baseball fields, paintball facilities, football fields, schools, cross fit gyms, and so much more. The fields do not need to be closed down when it rains, providing you with more time to enjoy your turf in whatever climate. -​Many people in Colorado enjoy their summers spending their days by the pool (and that's just one great way! ), but nobody wants clumps of mud and blades of grass in their pool. Keep your pool clean with Artificial grass! Save yourself time and money!! Being able to properly maintain and upkeep your pool easily without all the clogs and fishing for blades of grass! Surround your pool with lush green grass, but without all the messes! This will give you and your family more time to spend enjoying your pool. Just picture splashing around and enjoying the water on a hot day. Artificial grass now looks more natural than ever before, benefit from all of the conveniences of not having to clean your pool and unclog the filter as often! There is a reason why this choice is growing in popularity with pool owners all over the country. Let's be honest, kids get into EVERYTHING. Have a play area outdoors that keep your kids safe and prevent them from ruining their clothes with mud and grass stains. 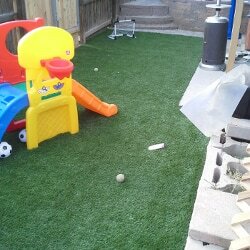 Our artificial grass is great solution for your child's play area. It can take days for the landscape do dry up after a rain storm. Many kids are not able to play due to the wet ground. Artificial turf will solve that problem! The fake grass is installed with a drainage system that will allow the area to drain. Also, because there is no soil, there is no mud! Kids and your playground facility will stay cleaner longer! 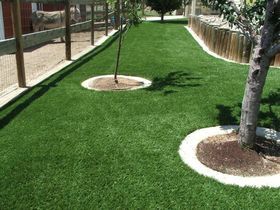 ProGreen has Artificial Turf you can trust, Trust the pros, who know how to make your design ideas into a reality!